Water purification systems from RainSoft are an excellent investment for homeowners who utilize well water. The EPA does not have the authority to regulate privately owned wells the way they do for public water systems. This can cause concern about drinking tap water from a well that has not first gone through a water purification system. There are a multitude of ways that the groundwater in wells can be contaminated, including fertilizers, septic systems, livestock waste, and de-icers used on roads in the wintertime. This means that the tap water of homes with private wells may contain visible contaminant particles, have a bad odor, and have an unpleasant taste. Taste better, by removing contaminants and minerals that cause bitter and metallic aftertastes. Smell better, by removing minerals such as sulfur and chlorine. Clean and clear, by removing sediment that can accumulate in private well water. Home drinking water systems from RainSoft can make the tap water from wells taste as good as, if not better than, bottled water. 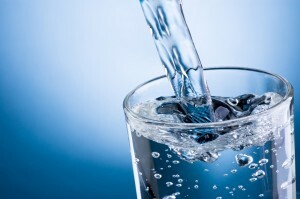 The difference can also be tasted in drinks prepared with tap water, such as coffee, tea, and juices, as well as any food you prepare using tap water. To learn more about our water purification systems, contact your local authorized RainSoft dealer today to schedule a complimentary in-home water test.